Dexter Russell SofGrip Poultry Kitchen Shears Stainless Steel Blades -- 12 per case. 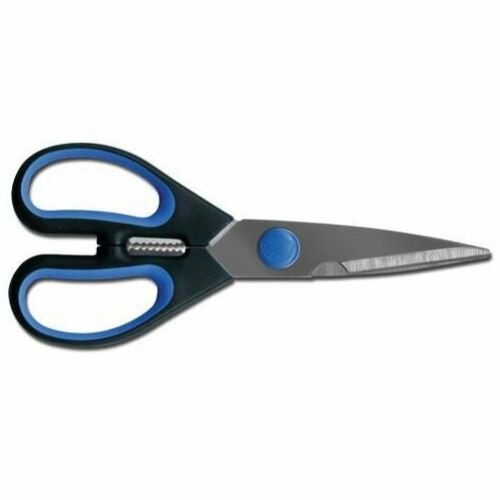 Dexter Russell SofGrip Poultry Kitchen Shears Stainless Steel Blades -- 12 per case. The SofGrip product line is the standard in non-slip and comfortable design for demanding kitchen environments. A soft rubber grip reduces stresses that may cause fatigue and common wrist injuries like carpal tunnel syndrome. Detachable blades are manufactured from stainless steel, are individually ground, and are easy to clean. Bone notch included for cutting through cartilage or bone. NSF Certified. Proprietary DEXSTEEL Stain-free, High Carbon Steel. The Dexter-Russell 025619 TackleDirect Offshore Big Game Kit features three of Dexter Russell's best knives for filleting your catch of all offshore saltwater species such as dolphin, grouper, snapper, tuna, wahoo, and more! The SG132N-10 Sport Fishing fillet knife is an ideal breaking knife for making your initial cuts along the backbone of large pelagic species, while the Sofgrip handle provides a non-slip grip for safe handling. The SG142-8TE-PCP Sofgrip 8in Tiger Edge Slicer is perfect for applications where you may be chunking up pieces of bait like bunker, sardines, squid, butterfish, and more! Its Tiger Edge blade helps to break through tough outer surfaces like frozen bait with ease. 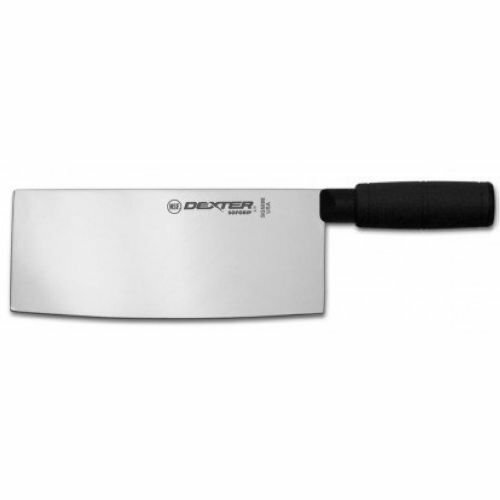 The SG138 SOF 8" Wide Fillet knife offers added flex needed for making super clean finishing cuts. 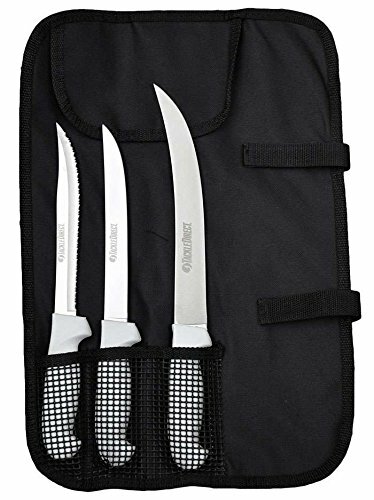 Included on top of all three knives, the CC3 Cutlery Case provides protection for your new knives during storage and travel. Dexter Russell SofGrip Chinese Chefs Knife, 8 x 3 1/4 inch -- 6 per case. Copyright © Wholesalion.com 2019 - The Best Prices On Dexter Russell Sof Grip Online.